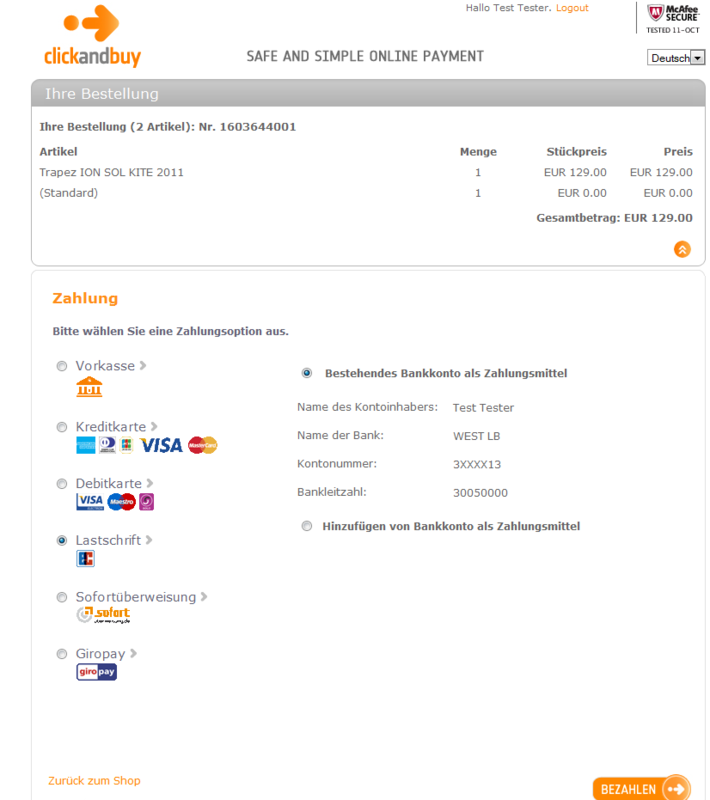 ClickandBuy is one of the world's leading e-payment providers. 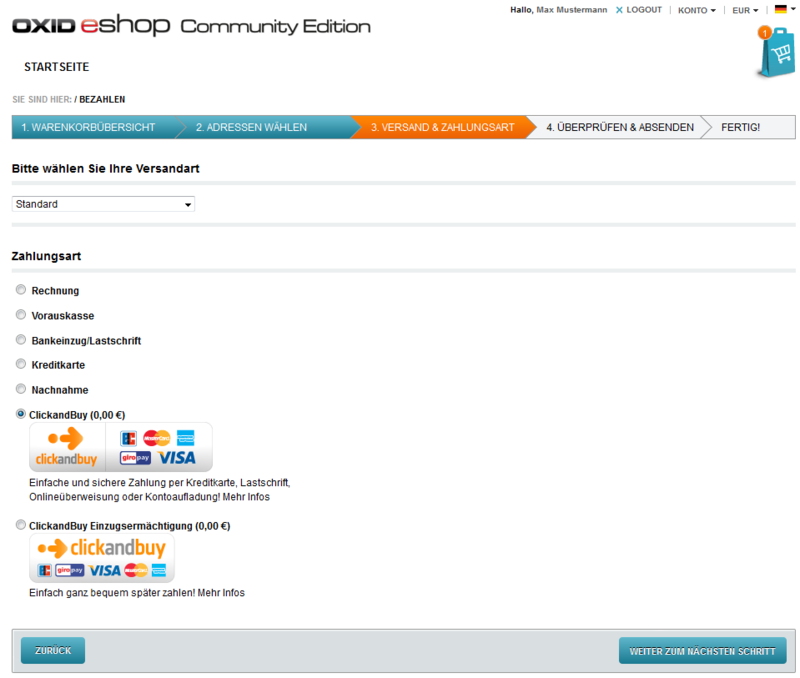 More than 16,000 online shops and 14 mio customers use our services. We offer our partners all well-established national and international payment methods in 120 currencies. 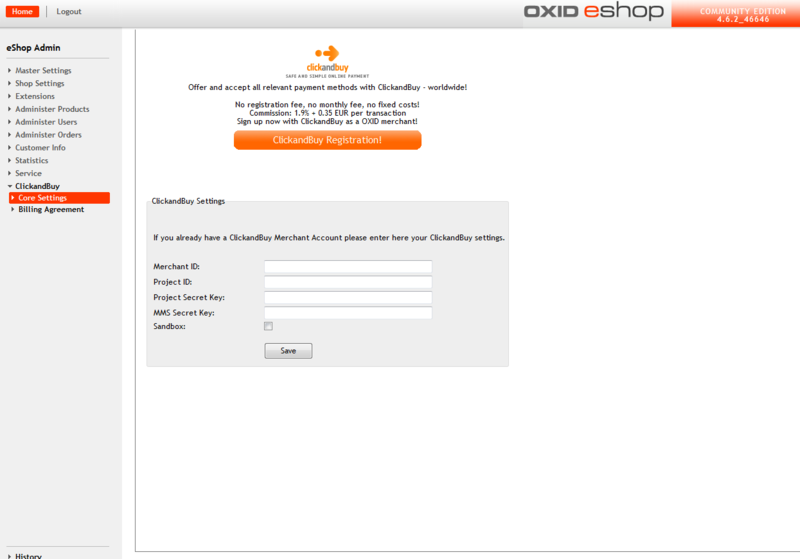 This extension supports the well-known ClickandBuy eWallet solution for OXID eShop. 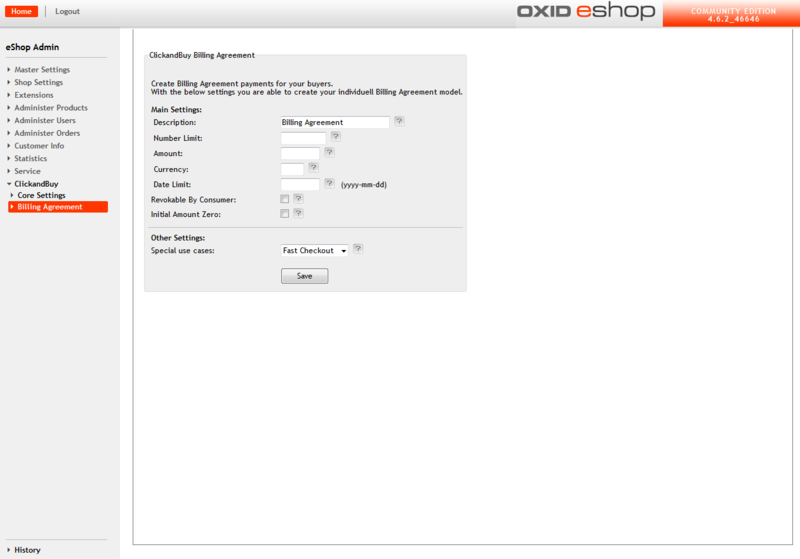 After the installation of this module you can start the automated ClickandBuy merchant account registration in the admin backend of your OXID eShop. Once the registration has been completed your module is fully operational.